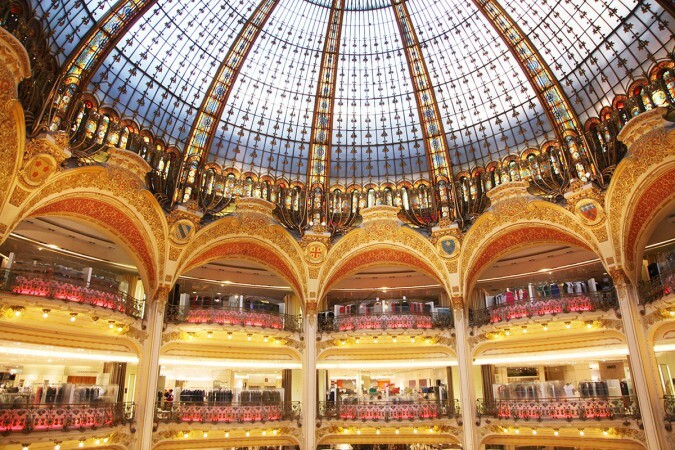 Shopping in Paris’ Grand Magasins can often feel like going to a museum, with historic details and breathtaking views both inside and out. 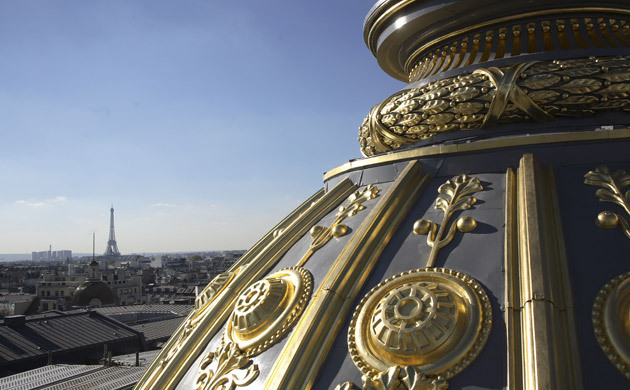 The rooftops of Galeries Lafayette and Printemps boast the most majestic views of Paris’s skyline. There are even select art exhibitions on view in Galeries Lafayette’s art gallery, aptly called Galerie des Galeries. Not to mention, the haute couture displays are themselves works of art. During the Christmas holidays, the department store windows transform into scenes from fairytales, and it’s enough just to pass by while window-shopping, to be left enchanted. But enough about art and decoration, where to shop while in Paris? Translated to “the good deal” in French, Le Bon Marché was the first modern department store to open in Paris in 1852, offering consumers a wider selection of goods. Displayed much like in a carefully curated art gallery, small boutiques sell prestigious luxury brands, from Louis Vuitton to Chanel. With exclusive departments for accessories, lingerie, beauty and menswear, to walk the aisles of Le Bon Marché is to experience a unique art de vivre. In an adjacent building at 38, rue de Sèvres, sits La Grande Épicerie, a leader in the world of Parisian gastronomy. Newly revamped in 2013 and spanning 3,000m2, all things gourmet can be found here, with an entire floor dedicated to wine. The most high-end of the many dining options is La Table de la Grande Épicerie, headed by chef Jean-Jacques. 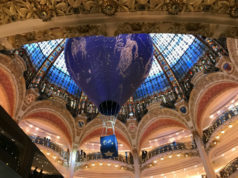 Opened in 1912 featuring Art Nouveau staircases, and covered by a glass and steel dome, Galeries Lafayette is one of Paris’s most recognized department stores. Within it’s walls you can discover well-established luxury prêt-à-porter as well as new avant-garde designers. The basement’s shoe department was completed in 2008, featuring over 150 international brands. 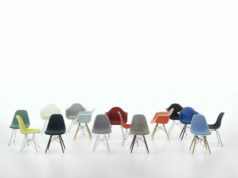 With separate neighboring shops for Men and Home Furnishings, there is little you can’t find. Most recently, Lafayette Gourmet was unveiled, a 3,500m² food hall spanning 2 floors including it’s own wine cellar. Here you can shop for gourmet groceries or dine at one of the many international counters, including a green juice bar, Iberian bar and an oyster bar. 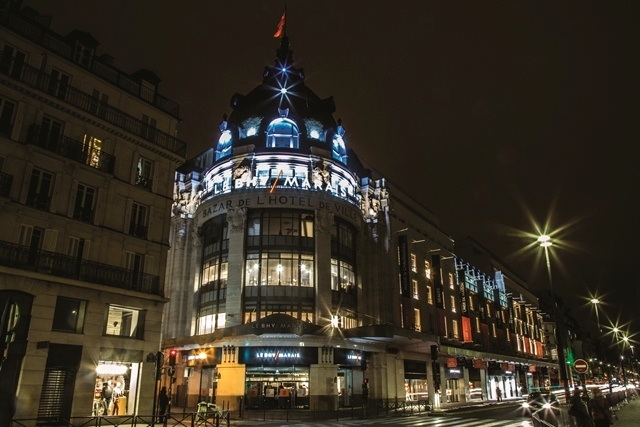 Listed as a historical monument since its creation in 1865 by visionary Jules Jaluzot, Printemps is one of Paris’s most majestic department stores. 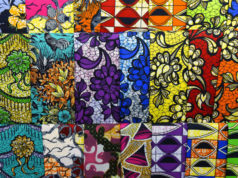 Excelling in fashion, an entire floor is devoted to shoes, with six floors dedicated to women’s and men’s wear. 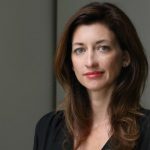 Printemps de la Mode shows off top French designers in addition to major international designers. Current trends for a younger generation can be found in The Fashion Loft. Printemps du Luxe is the largest beauty space in the world, with over 200 brands. In Printemps de la Maison the selection spans from tableware to furniture. In addition to a Food Hall exhibiting the 10 biggest brands in luxury gastronomy, dining options include a tearoom, sushi bar and Café Be, an Alain Ducasse bakery. You can also dine in style at the Printemps Brasserie. 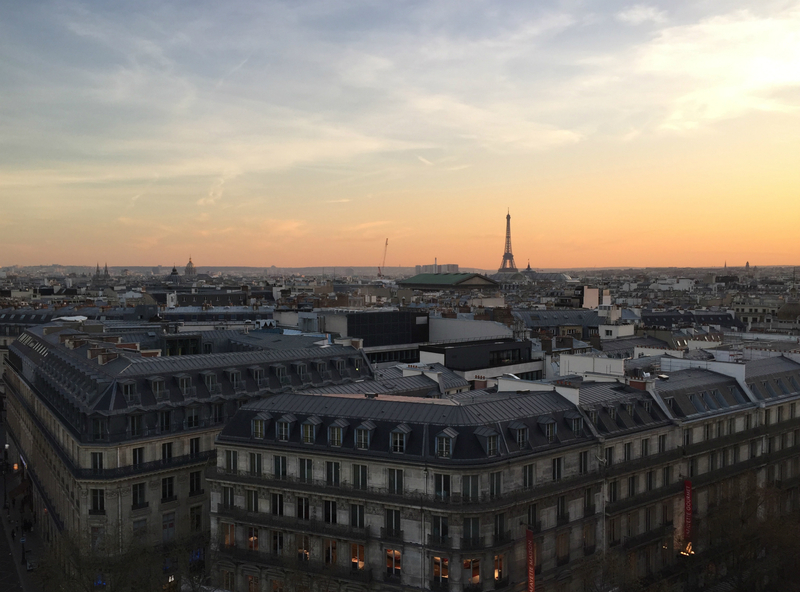 I recommend heading to Deli-cieux on the ninth floor of Printemps Maison, for a drink and a view. One of the best kept secrets in Paris! Bazar de l’Hôtel de Ville, or BHV for short, is a grand department store located in the heart of Paris on rue de Rivoli, under the ownership of Groupe Galeries Lafayette. In 2013, BHV went through a massive makeover and was renamed Le BHV/Marais, for its chic address. Since then it’s become even more of a one-stop shopping destination for the latest trends by new and established designers in women’s and men’s fashion, the latter having its own store, children’s clothing, toys and home decor. Perhaps my favorite section is the do-it-yourself department located in the basement, where no project is too small. Throughout the year culinary and creative workshop are organized for both adults and children. As for dining, there’s a canteen on the store’s fifth floor, with spectacular views of City Hall. What’s shopping without a view?